Potentially modifiable risk factors in midlife are associated with the risk of developing late-onset epilepsy. HealthDay News — Potentially modifiable risk factors in midlife are associated with the risk of developing late-onset epilepsy, according to a study published online July 23 in JAMA Neurology. Emily L. Johnson, M.D., from the Johns Hopkins University School of Medicine in Baltimore, and colleagues examined midlife vascular and lifestyle risk factors for late-onset epilepsy. Data were included for 10,420 black or white participants from the Atherosclerosis Risk in Communities study with at least two years of Medicare fee-for-coverage. Demographic, vascular, lifestyle, and other possible epilepsy risk factors were assessed. 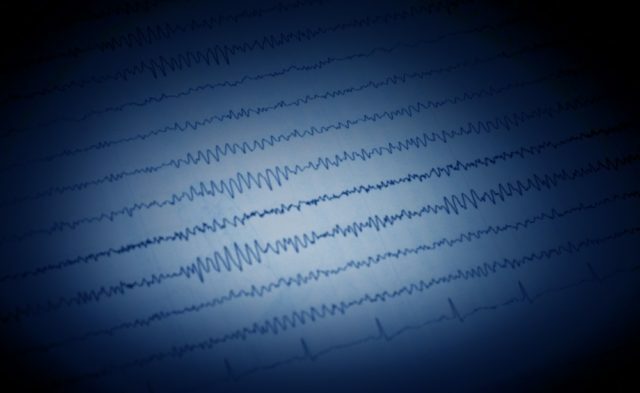 The researchers found that 596 participants developed late-onset epilepsy (3.3 per 1,000 person-years). Higher incidence was seen in black versus white participants (4.71 versus 2.88 per 1,000 person-years). Increased risk of late-onset epilepsy was seen in association with baseline hypertension (hazard ratio [HR], 1.30), diabetes (HR, 1.45), smoking (HR, 1.09), apolipoprotein E ε4 genotype (one allele: HR, 1.22; two alleles: HR, 1.95), and incident stroke (HR, 3.38) and dementia (HR, 2.56). Higher levels of physical activity and moderate alcohol intake were associated with lower risk (HRs, 0.90 and 0.72, respectively). After censoring individuals with stroke or dementia, the results were similar. “Although stroke and dementia were both associated with late-onset epilepsy, vascular and lifestyle risk factors were significant even in the absence of stroke or dementia,” the authors write.